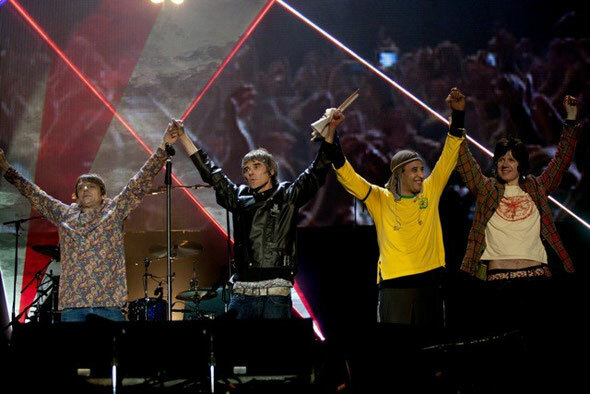 The Stone Roses recently announced three UK shows in June 2013. The group will play two nights in London’s Finsbury Park (June 7 and 8) and one show at Glasgow Green on June 15. 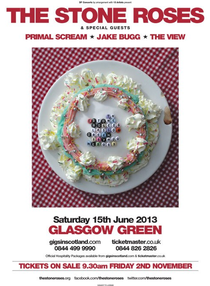 The support for the Glasgow show is Primal Scream, Jake Bugg and The View, with London to be announced shortly. Tickets for all three shows go on sale at 9.30am on Friday November 2. The Stone Roses are now in the Guinness Book of World Records for the fastest selling UK dates in history after selling 220,000 tickets for their three shows at Manchester’s Heaton Park in 2012.